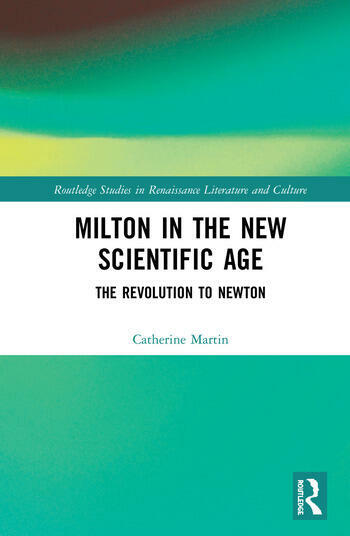 Milton and the New Scientific Age represents significant advantages over all previous volumes on the subject of Milton and science, as it includes contributions from top scholars and prominent beginners in a broad number of fields. Most of these fields have long dominated work in both Milton and seventeenth-century studies, but they have previously not included the relatively new and revolutionary topic of early modern chemistry, physiology, and medicine. Previously this subject was confined to the history of science, with little if any attention to its literary development, even though it prominently appears in John Milton’s Paradise Lost, which also includes early "science fiction" speculations on aliens ignored by most readers. Both of these oversights are corrected in this essay collection, while more traditional areas of research have been updated. They include Milton’s relationship both to Bacon and the later or Royal Society Baconians, his views on astronomy, and his "vitalist" views on biology and cosmology. In treating these topics, our contributors are not mired in speculations about whether or not Milton was on the cutting edge of early science or science fiction, for, as nearly all of them show, the idea of a "cutting edge" is deeply anachronistic at a time when most scientists and scientific enthusiasts held both fully modern and backward-looking beliefs. By treating these combinations contextually, Milton’s literary contributions to the "new science" are significantly clarified along with his many contemporary sources, all of which merit study in their own right.